Here is your guide San Clemente Oceanfront Condos for sale. San Clemente has a couple great spots to find oceanfront condos for sale. First, is the street of "Avenida Lobiero." Here you will find spectacular oceanfront condos that have endless view of the ocean and pictured above. Second, the street "Buena Vista" is well known as the oceanfront street in San Clemente and has many oceanfront homes and condos for sale. In the downtown San Clemente area near the Pier make sure to look at condos on "Avenida Granada" for their direct ocean front view. Below are the current and available oceanfront condos in San Clemente. Based on information from California Regional Multiple Listing Service, Inc. as of April 21st, 2019 at 11:57am PDT. This information is for your personal, non-commercial use and may not be used for any purpose other than to identify prospective properties you may be interested in purchasing. Display of MLS data is usually deemed reliable but is NOT guaranteed accurate by the MLS. Buyers are responsible for verifying the accuracy of all information and should investigate the data themselves or retain appropriate professionals. Information from sources other than the Listing Agent may have been included in the MLS data. Unless otherwise specified in writing, Broker/Agent has not and will not verify any information obtained from other sources. The Broker/Agent providing the information contained herein may or may not have been the Listing and/or Selling Agent. 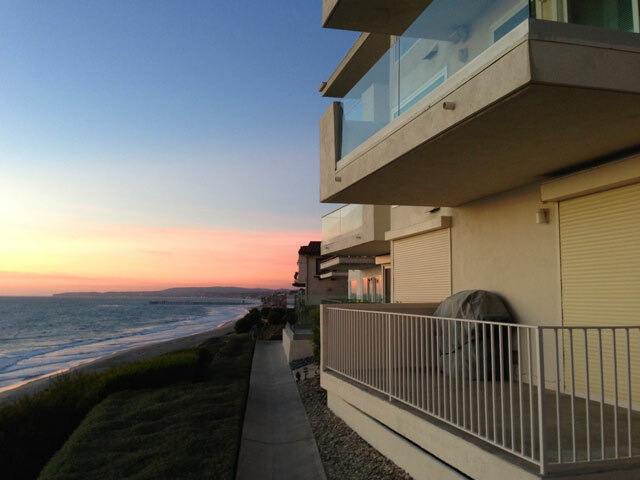 We specialize in luxury homes and condos in San Clemente. Our team of luxury San Clemente real estate agents can guide you through the San Clemente Real Estate marketplace. These luxury communities are just some of the luxury homes offered for sale in San Clemente. Please contact us 949-291-0424 to help you determine the right luxury community for you. Please feel free to call us with any questions regarding the San Clemente Real Estate marketplace. We are more than happy to explain the many choices of homes here in San Clemente that you have to choose from. Please contact any of our San Clemente Real Estate Agent associates at 949-204-5110 today. "When I first got into real estate over 20 years ago I always heard the word turnkey and had no idea what people were talking about. nbsp;It seems like its a favorite word among real estate agents f... "
"Real Estate agents have a special day when they get to preview brand new listings that come on the market in the San Clemente real estate market place. nbsp;This is called broker preview since real... "
"The Sunset Shores oceanfront complex is located at 410 Corto Lane in San Clemente. The building is located in the area surrounding the San Clemente Pier with white water ocean, pier and coastline... "
"Driftwood Bluffs is a very small oceanfront complex located in the San Clemente Pier bowl area in San Clemente, California. The condos offers amazing views of the Pier and T-street beach as pictu... "